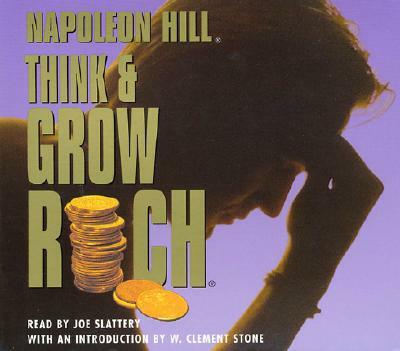 From world-renowned motivational author Napoleon Hill comes the definitive unabridged version of his classic work that has inspired millions, Think and Grow Rich. Anything your mind can conceive and believe you can achieve. That is the philosophy of Napoleon Hill, author of the world's #1 motivational book, Think and Grow Rich. Inspired by the lessons he learned while a protégé of Andrew Carnegie, Napoleon Hill gives you the money-making secrets that earned Carnegie, and many of the world's other most prominent people, unprecedented riches. Think and Grow Rich tells you what to do and how to do it. Apply Hill's basic techniques to your life and you too can master the secret of enduring success. Success is not an accident, it's a habit. Think and Grow Rich is where that habit begins. Throughout this inspirational masterpiece, which has influenced men and women on every continent, Hill gives examples and detailed analysis of how hundreds of exceedingly wealthy people earned and maintained their fortunes. It has sold millions of copies by laying down a blueprint for a life of prosperity, and helping people become the winners they've always wanted to be. Napoleon Hill's plan will inspire you, motivate you, and enable you to make your dreams come true!